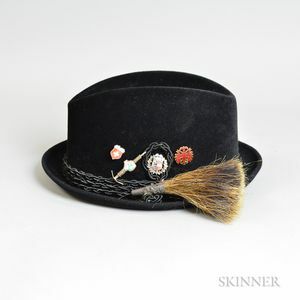 Berg Black Fedora, with tassel and decorative pins. No size on the actual hat, but it measures 21 1/2 in. circumference.